What is a Buckle Fracture? There are many types of fractures to bones and most are caused by an acute injury to the bone from side to side motion. A buckle fracture is caused by an impact from the top to the bottom of the bone. This can either be from repeated use of a limb over time or an acute one time injury. A buckle fracture occurs when a bone is impacted straight up and down. (See Figure 1) It most commonly occurs during a fall when the affected body part has been put down to break the fall or to a leg during a jump. It also happens over time to runners, boxers, figure skaters and gymnasts due to repeated impacts to the bones. Buckle fractures are seen on only one side of the bone since it does not break straight across. 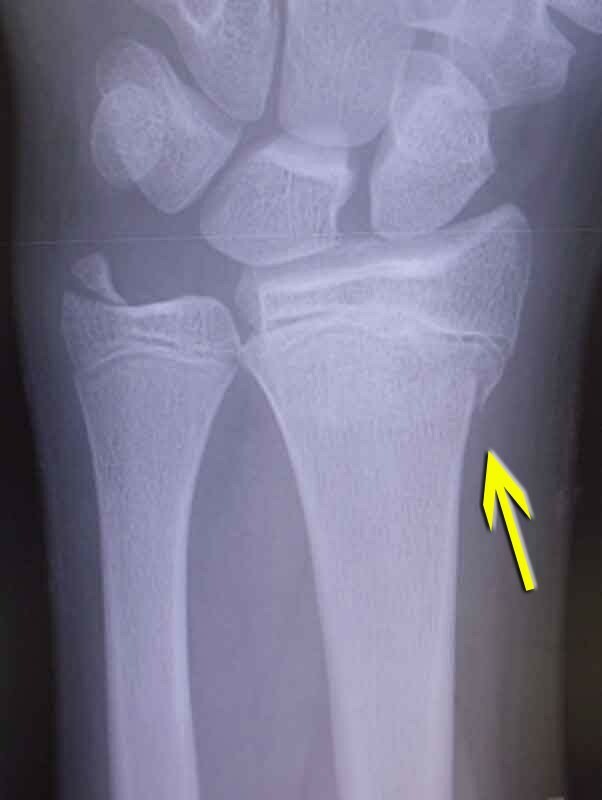 The fracture is incomplete and appears as a bump or “buckle” on one side of the bone. Some buckle fractures cannot even be seen, but this is okay because they often only need splinting for a few weeks as a method of treatment. What are the causes of Buckle Fracture? One common cause of buckle fractures is recreational injuries in children. Falling from skateboards, roller skates and bicycles while using an arm to break the fall is one way these fractures happen. The reason this is common in children is because there are so many growth plates in the arm and wrist area. Another common cause of buckle fractures is repeated sports injuries. Over time the impact to the legs, feet and arms from various sports activities can cause buckle fractures. One of the main sports that cause this is running. The next common cause is figure skating. Runners and figure skaters cause severe impact to the legs, often at high speeds that take the body’s weight coupled with the speed, which multiplies the impact to the bones. Other bones that can be affected are the arms from sports like boxing, tennis and ball playing. What are the symptoms of Buckle Fracture? When a buckle fracture occurs in a child; they most often complain of pain to the wrist area and not in the actual area of the fracture. They will refuse to bend the wrist or use the affected arm. This is because the growth plates are located at the bottom of the bones near the joints and they are very sensitive to injuries in the bones they support. Deformity usually does not occur with buckle fractures, since the bone is not completely fractured. The patient may complain of numbness to the extremity below the area of the fracture and the extremity may feel cold to the touch. There may or may not be swelling to the area. There may also be slight bruising where the bone bled out of the fractured area, but this is not common. The symptoms of a buckle fracture are actually very close to the symptoms of a sprain. Also, inflammation on x-ray films done too soon after the injury may cover the site of the injury all together. Any time a buckle fracture is suspected, follow up with an orthopedic doctor may be necessary after the inflammation subsides. What is the treatment for a buckle fracture? In the early stages of healing, anti-inflammatories and pain medications will ease the discomfort. Ice packs can be applied for 20 minutes at a time to bring down the inflammation and swelling. It is also helpful to keep the affected body part elevated above the heart. If the body part is casted, the circulation should be checked periodically to make sure the cast is not too tight. 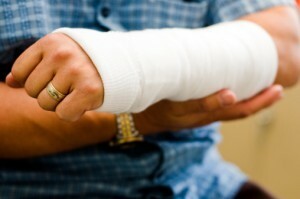 Swelling can also make a new cast even tighter when it was loose in the first place. Have the patient wiggle the fingers or toes and check them for color and temperature. Never let anyone with a cast “stick” hard objects into the cast to relieve itching. This can damage the skin and cause ulcers and skin breakdown which could become infected. If a body part is just splinted and/or wrapped with an elastic type bandage, with the physicians okay it may be acceptable to remove the splint or bandages periodically to clean the extremity and allow it to get air. Always check with the physician before doing this. Buckle fractures are a common injury in both children and adults. It is not a serious type of fracture, but can be painful. It can also cause lost time from sports, play and work while the injured body part heals. Diagnosis is not always easy, but the treatment for this type of fracture is either basic splinting, wrapping or casting. It almost never requires surgical intervention. The best way to prevent a buckle fracture is practicing safety (See Figure 3) in sports and recreation. Use caution when using the hands to break falls and never jump from something that is too high. The bones are major shock absorbers for the body and they can only take so much impact. 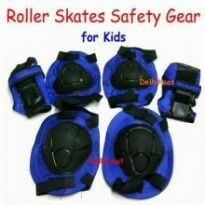 With good safety practices buckle fractures can be avoided. 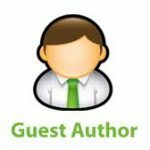 Note :- This article is guest posted by Karishma Pandey, on behalf of www.turmericcurcuminshop.com, An online store for Turmeric Curcumin Extract, that helps to minimize joint pain naturally without any side effects.